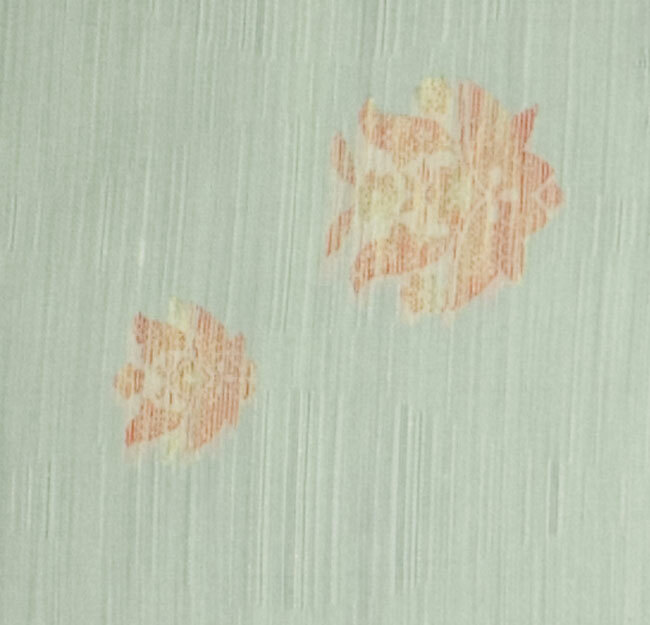 Kimoyes item: 10868 - Fine silk blend fabric which is translucent. Fine silk blend fabric which is translucent. 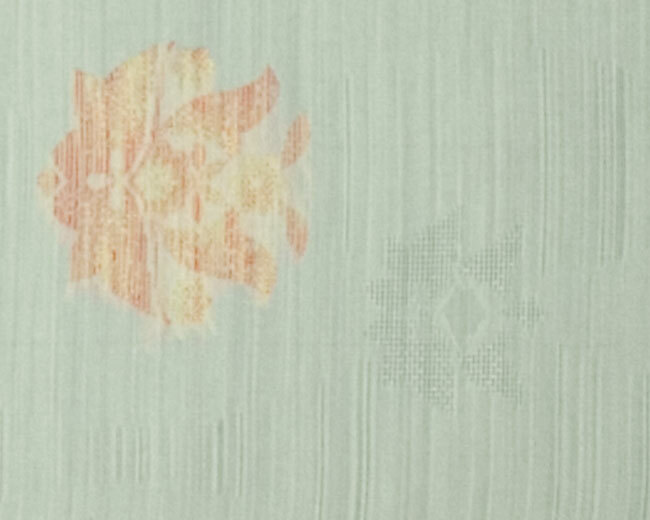 It has woven flowers in an orange/yellow thread and also in a self patterned mesh like weave.